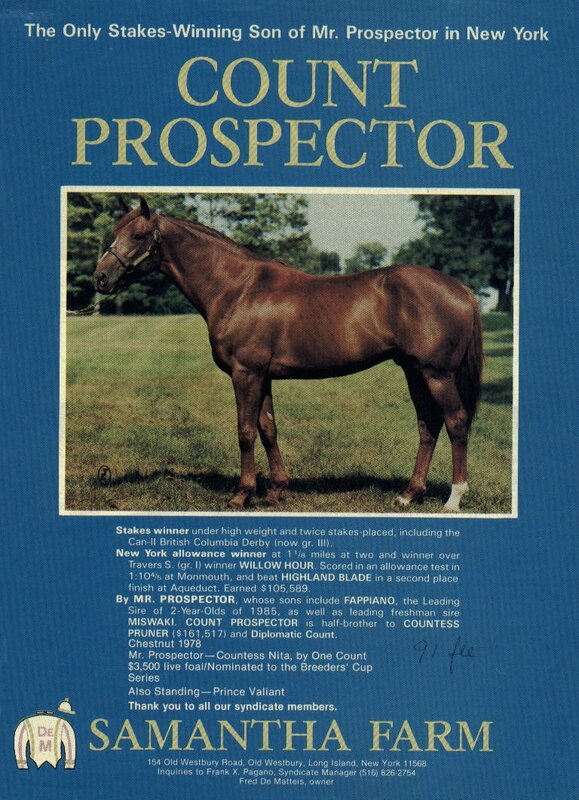 Prince is by a Mr. Prospector son named Count Prospector, foaled in 1978, who won four races at 2 and 3, including the Autumn Leaves Stakes. His career winnings totaled $105,589. He did best at the middle distances (7 - 9 furlongs), something unusual for a Mr. Prospector; his distance ability probably came from his dam's side of the pedigree -- his maternal grandsire One Count (by Triple Crown winner Count Fleet) won the Belmont Stakes at a mile and a half and the Jockey Club Gold Cup at two miles in the same year. 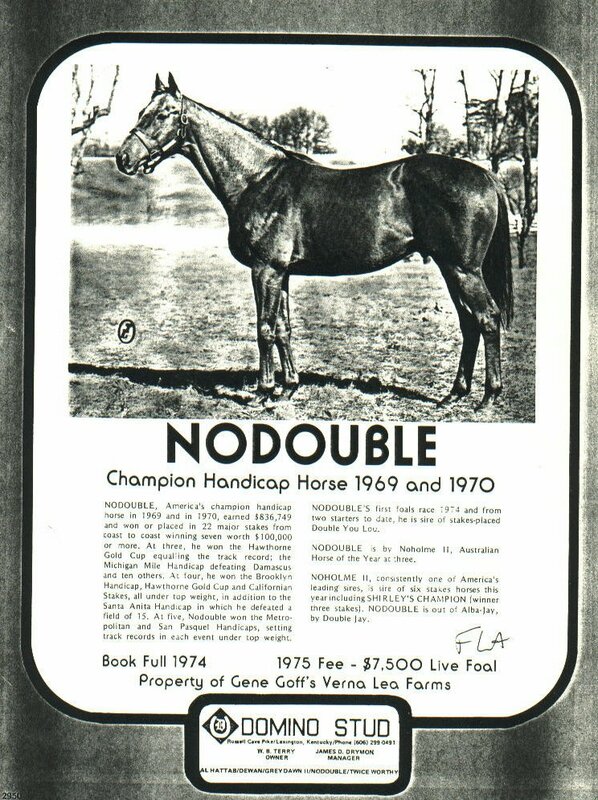 Prince's dam was Dawn's Fancy, winner of $19,894 and a daughter of the noteworthy Nodouble, always a leading sire who topped the nation in 1981. Dawn's Fancy was foaled in 1983. Prince was her first foal.